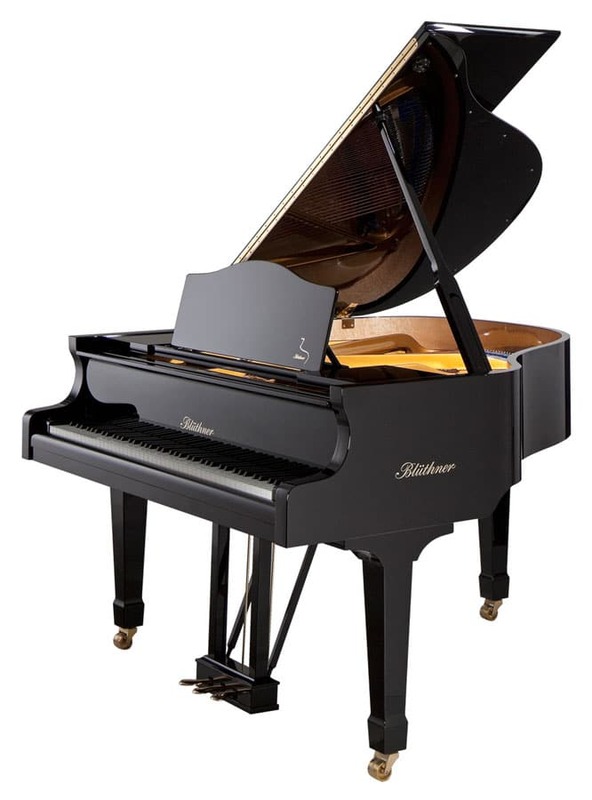 History: Julius Bluthner established the Bluthner piano factory in 1853. Although he died in 1910, his 3 sons took over the company. During World War II, the factory was completely decimated and was rebuilt under national control of East Germany. By 1990, the Bluthner family resumed control and built new facilities just outside Leipzig in 1997. Available Finishes: Satin and Polished Ebony, Walnut, Mahogany, Cherry, White, Bubinga, Yew, Rosewood, Macassar, Burl Walnut or Camphor, Saxony Polished Pyramid Mahogany. Also available in President, Louis XVI, Nicolas II, Louis XIV Rococo, Alexandra and Julius Bluthner styles.